Detailed information and reviews of US companies and contractors offering installation, repair and maintenance services of commercial and residential air conditioning systems, units & equipment. Post your requirements and receive no obligation price estimates and quotes. 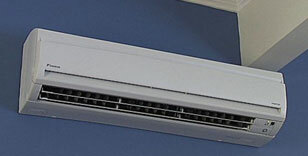 Air conditioning unit to be replaced - Air conditioning unit. I have one in the attic and one outside unit. The outside unit is fine, the attic unit has to be replaced. Central Church AC - Please I need a free quote to fix a central Church AC. Installation of central heat and air - Installation of central heat and air in my home. 1500 square footage. System needs charging, possible slow leak somewhere - Fujitsu ductless system, Halcyon Inverter, heating and cooling model multi split type.